The Cellite Clinic specialises in effective baldness treatments, including hair restoration, hair transplant and hair loss medication. 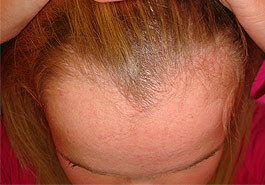 Hair transplant is one of the surgical solutions to hair loss. Just as there is hair genetically programmed to fall out, there is also hair genetically programmed to stay forever. 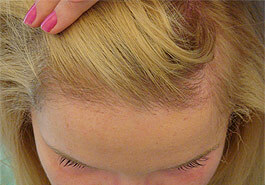 This hair can be easily removed and placed in the areas where you are balding. Single hair follicular units are used to recreate a natural hairline while follicular units, with groups of 2 to 4 hairs, are used to give density behind the hairline. Hair transplants should look perfectly natural, and the transplanted hair will grow for the rest of your life. When you visit the Cellite Clinic, you will have a personal consultation with Dr Judodihardjo. Dr Judodihardjo is a Member of the International Society of Hair Restoration Surgery and one of the few hair transplant surgeons in the UK who is qualified to perform the Follicular Unit Hair Transplant method. He will evaluate the nature and extent of your baldness pattern, the potential of your remaining hair to yield healthy donor grafts and the likelihood of future hair loss. You can be assured that you will obtain an honest opinion. If we feel you are a poor candidate (perhaps too young, have too much-existing hair or even too bald) you will be told outright. Where will my hair transplant surgery be performed? You can have your hair transplant in Cardiff, in our clinic in the city centre. It is considered a very simple and safe operation. The Cellite Clinic is fully equipped and registered with the Health Inspectorate Wales to perform this procedure as a day surgery procedure. What happens during hair transplant surgery? When grafting begins, the doctor will administer a mild local anaesthetic to the scalp before collecting viable hair from the donor area. These collected hairs are then separated under the microscope into the smallest possible viable divisions called fillicular units. 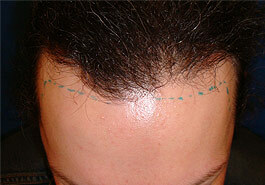 These tiny follicular units/grafts are then inserted into tiny needle holes made in the bald area. Each transplantation session generally takes between 3 to 8 hours to complete. At the end of the surgery, the patient is sent home wearing a loose baseball cap, or nothing at all, over the treated area. Although individual pain thresholds vary, patients generally express surprise at the small amount of discomfort associated with hair transplant surgery. With modern tools and techniques, clients rarely complain of more than a slight tenderness experienced during surgery and for the next few days. 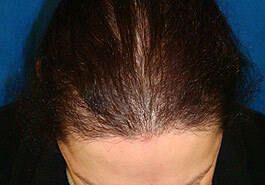 A thinning area may need only one transplant while a bald area may need two treatments to achieve density. £2500 for 500 grafts; £3750 for 750 grafts; £4800 for 1000 grafts; £6000 for 1250 grafts; £6900 for 1500 grafts; £8050 for 1750 grafts and £9000 for 2000 grafts. What should I do next if I want FUT Baldness and Hair Loss Treatment?